Early summertime is cherry season and traditionally this means adorning the top of a freshly baked pavlova with these juicy little jewels for Christmas day dessert. But if you want to try something a little different (and you wouldn’t be food lovers without a sense of culinary adventure) then may I introduce a dainty little dish called the clafoutis. 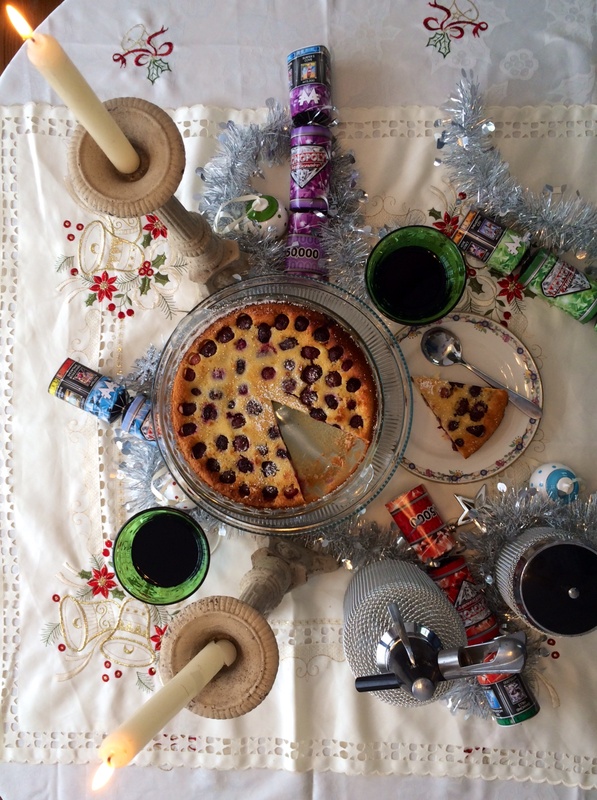 This fabulous flan-like dessert is a traditional dish of the Limousin region of France and is rather peculiar in that it contains cherries that are unpitted. It may sound odd and like a lot of work to ensure you don’t chip a tooth with every bite, but believe me when I say that the pips add an extra nutty nuance that makes it worth the effort. Just make sure you let your guests know before they tuck in! Preheat the oven to 180 degrees Celsius (350 F). Pour the cream into a small saucepan. Split the vanilla pod in two, scrape out the seeds and add both to the cream. Heat the cream gently for a couple of minutes, remove from the heat, add the milk and leave to cool. Take the vanilla pod out. Whisk the eggs and sugar together until the mixture becomes slightly white and foamy. Sieve the flour, mix it with the almond meal and then add it to the egg mix. Whisk well to avoid lumps. Gently add the cooled cream and whisk until combined. Arrange the cherries at the bottom of your cake tray (use a 23cm or so baking tray), pour the mix over the cherries to about ¾ of the tray. Bake for 35-40 minutes, until golden on top. A good trick to check if your Clafoutis is cooked is to plant a skewer into the centre, if it comes out clean then it’s cook! Dust with icing sugar and serve with a dollop of cream while still warm.